Our physical therapists provide invaluable services aimed at preventing the onset and/or slowing the progression of conditions resulting from injury, disease, and other causes. 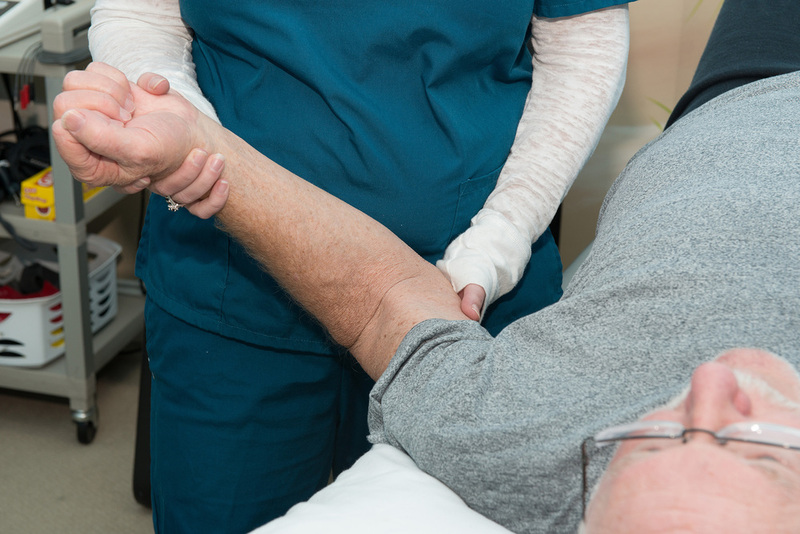 Some patients can regain abilities through the proper use of physical therapy. In fact, the progression of symptoms of some diseases can be extremely minimized by the correct therapeutic methods used by our expert staff. For some problems, physical therapy can prevent the need for corrective surgery. It is particularly important to see a physical therapist once acute body pain begins, to prevent it from becoming a chronic problem. We offer traditional modalities including Ultrasound, Iontophoresis, Game Ready, Heat and Ice, Electrical Stimulation, Traction, Anodyne, and Tens units for pain control. Our highly skilled staff is educated by the highest standards to help you with any physical therapy needs.